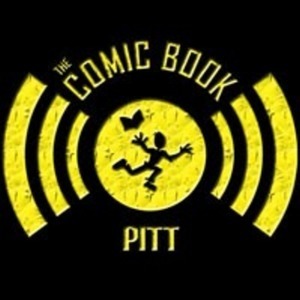 We found 10 episodes of Comic Book Pitt with the tag “comic books”. Episode 262: Good Luck, Bendis! It's the CBP discussion show! Welcome to the first episode of 2018! This is a big year for CBP as we enter our 10th year of podcasting AND begin our new recording schedule at the Sorgatron Media studio! Dan is back at it after some time off this summer, and apparently something in the empire is foul! Episode 253: Comic Book Podcasting Panel at 3 Rivers Comicon! Dan, Scott, and Shawn joined Ian, Paul, and Matt from the McSoss Podcast and Will from the Panel Riot Podcast last week at 3 Rivers Comicon. We had a great time getting to know each other, talking about our humble beginnings, and discussing the ups & downs of podcasting. Dan and Jared were invited to Coffee Buddha for their after hours Comic Mixer with local comics creators Jeremy Baum and Nils Balls. Episode 250: Free Comic Book Day 2017! We visited Pittsburgh Comics, Phantom of the Attic-Monroeville, Infinity Comics, and our final stop was New Dimension Comics' Century III Mall location where we talked about this year's free comics. Pittsburgh Indy Comics Expo is this weekend! Episode 246: 3 Rivers Comicon Preview! Dan sits down with Jon Engel to talk about the upcoming 3 Rivers Comicon!